From last few years, DJI has marked its dominant presence on Unmanned Aerial Vehicle market. 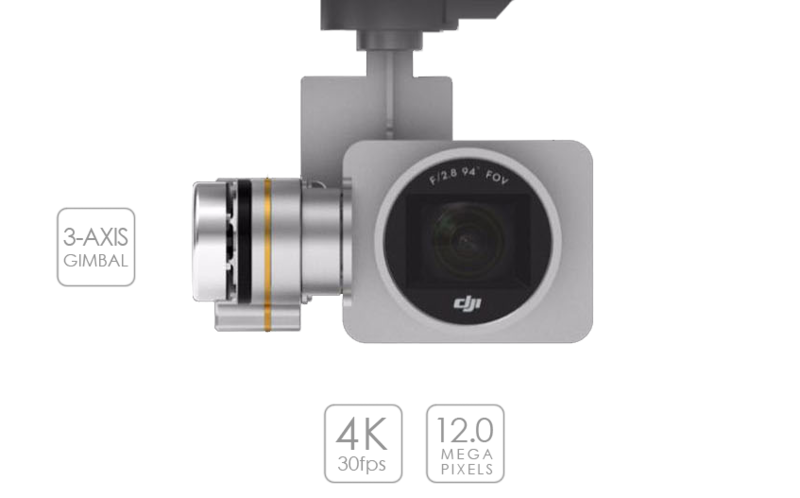 You can easily find so many DJI drones that have impressive features with well designed hardware and can fulfil all your adventure related needs. Phantom 3 Professional is one of which have perfect combination of technologies. The 4k video shooting ability with 12MP still resolution makes it perfect choice for stunning footage development. It offers extremely easy flight control. Lightweight design with compact construction. It shoots breathtaking 4k footage. Built in GPS, automated flight modes and return to home facility. The android application is observed to be quite slow. It does not possess advanced auto pilot feature. 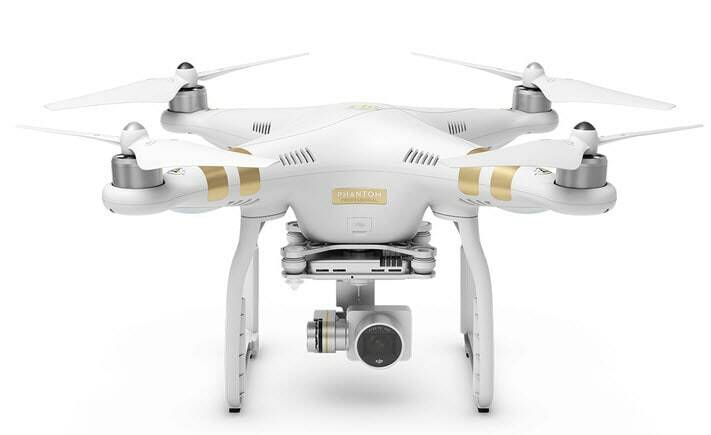 Phantom 3 Professional Drone is extremely easy to fly and at the same time it offers 4k video recording capabilities. Users can avail direct live view of footage during its flights by using direct camera-phone connectivity. With compact design and light weight construction, it is simply the best package for your in air adventure. Phantom 3 professional is well known for its ability to capture 12MP stills along with 4K resolution capabilities for video mode. The flight controls are quite easier as compared to other competing drones in market whereas its light weight design make it easier to carry in air. The in build GPS, return to home feature and advanced app control make it suitable for learners as well as professionals. Although the cost is quite high but you are going to avail all interesting features at the same time. You will love to explore the world around you with its auto pilot feature that can be switched from application easily. Phantom 3 Professional is pretty cool in terms of design and follows most of design features from its predecessors. The stout white attractive plastic body; fixed landing legs, four rotors and the decent size- it all represents Phantom 3 professional from DJI. You will find this device light enough to carry in your purse but note that you need to unscrew those blades to pack it perfectly. This device is sturdy and robust enough thus can handle small crashes with walls easily. You will be glad to know that its rotor blades can be replaced so easily if they get damaged somehow during crashes. You need not to use additional tools to assemble this drone, when you receive your package, you will be able to send it into air within few minutes. But make sure that you have gone through all flying laws of your locality before starting your first flight experience. It features a 4480mAh battery that can assist you up to 20 minutes in air but if you increase speed of your drone to much faster level then battery will naturally drain faster. The power level of this drone is indicated with the help of additional LED connected in front of handset so you can easily decide your flight routs to get back your drone safely. You will need to plug it for 90 minutes to get fully charged. And in case if you want to get spare batteries to enhance your flight time then you may have to spend $149 for each. You will find this device much easier to fly as compared to its predecessors. Just a small 10 minute flight in your backyard will help you to learn about its basic controls and then you can organise impressive flights with your friends. It is responsive enough so whatever you send in form of control command, it will respond immediately. Manufacturers say that this drone can spend at least 23 minutes in air with single charge but it also depends upon your speed controls. When power starts falling below 10 percent range then phantom will start producing sound warnings and will automatically begin the landing operation. You can use the return to home feature to get it back fast to your location. The advanced built in GPS system make this device much easier to control whereas the DJI app can help you to manage all flight modes with ease. It also offers live stream feature via application when your phantom is travelling in air at higher range. The mobile device and handset can be connected via USB cable to load the dedicated DJI application and once it gets loaded then you are able to control everything from your portable device. App allows easy selection for stills and video mode so that users can make better decisions as per their recording needs. Beginners often prefer to enjoy flights with its auto mode that handles ISO and shutter speed in much impressive manner. Users can also activate manual mode as per need by simply hitting the icon of manual settings. Phantom 3 professional offers 4k video resolution so that users can enjoy crystal clear recordings during their flights. At the same time, they can easily switch between 1080p and 720p as per need. Footage can be saved in MOV and MP4 file format. Further, you can enjoy images with 12MP sensor unit and all the details in these stills are well maintained.